Depending on the species, stinging insects can be a danger, especially if left uncontrolled. 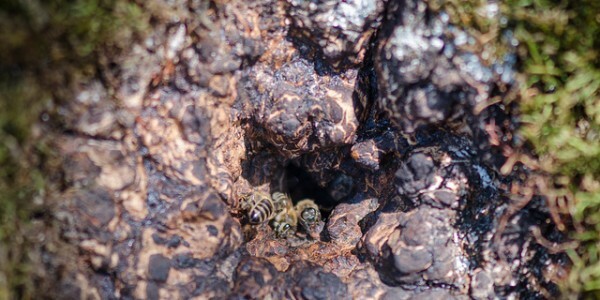 If you have an unwanted honey bee nest on your property, a pest management professional, or a local beekeeper may be able to remove it safely and preserve the bees; however, the bees may not survive if you treat the nest. It is also critically important to remove the entire nest if located within a building. A honey bee nest may contain multiple combs with large amounts of honey, and, if not removed, the honey can ferment and leak down the walls creating serious damage. The honey can also serve as an attractant for ants and other pests. For nests made by other stinging insects, or if you are not sure what kind of nest is on your property, contact a licensed pest management professional in your area (or the local Extension office) to properly identify the species and recommend a course of removal or treatment.